Keep up to date with the latest special offers and discounts at Zensations. These change regularly, so book online today. Deals like this don’t last forever! Step 1: Choose your treatment from Zensations’ wide range of therapies. Step 2: Book your appointment online now (enter voucher code ZDVFT5 at checkout). Step 2: Book your appointment online (enter discount code TEDC5 at checkout). Zensations supports our heroes and is in partnership with the BVRC (British Veterans Recognition Card). Zensations offers a discount to ex-service men and women who hold a British Veterans Recognition Card. This entitles BVRC holders to the preferential treatment price of a maximum of £30 per treatment. The following discounted treatments are available to BVRC holders: Massage, Sports Therapy, Remedial Massage, Aromatherapy, La Stone Massage, Warm Bamboo Massage, G5 Massage, Indian Head Massage, Reflexology and Pregnancy Massage. BVRC holders who wish to book discounted treatments can Book Online Now by selecting the Package: British Veterans Recognition Card. Please bring your card to your treatment, for verification. Zensations massage and therapies is a compassionate and ethical business based in Derby, striving to make a difference to actively promote a healthy, balanced and fulfilling lifestyle for our customers, the planet and all of its inhabitants. Zensations only uses ethically sourced, animal friendly, cruelty-free products in our treatments. We are passionate about promoting ethical lifestyle choices and animal welfare issues and we actively encourage our clients to do the same. 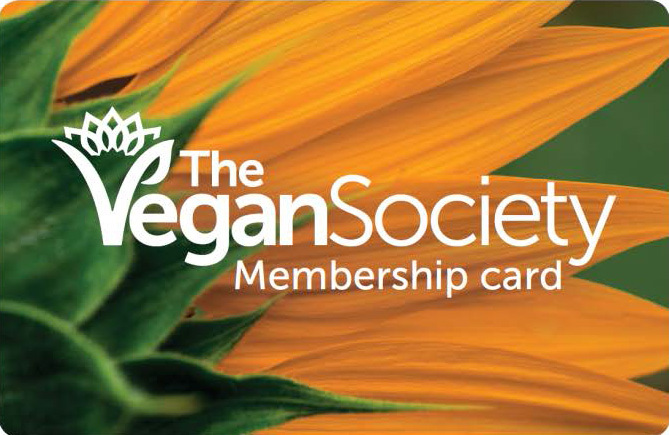 Zensations offers a discount to say thank you to all Vegan Society members for the compassionate difference they make everyday to animals all around the world and towards the sustainable future of our planet. Together we will make the world a better, more kind place. Zensations treatments include: Remedial Massage, Sports Massage, Swedish Massage, Aromatherapy Massage, Pregnancy Massage, Medical Acupuncture, Warm Bamboo Massage, G5 Massage, Indian Head Massage, Reflexology, La Stone Massage, Fire Cupping, Holistic Facial, Ear Candling. Good, nutritious food boosts your mood and energy levels. A wholefood plant-based diet, high in fruit and veg is the best starting point for a healthy lifestyle. A vegan diet consists of vegetables, grains, nuts, fruits and other foods made only from plants. Many argue that we should all be making a conscious effort to reduce consumption of animals and animal products for the sake of our health, the animals and for the planet. Plant-based food is a great starting point for a healthy lifestyle. Join the Vegan Society Here! When you join the Vegan Society you receive their award winning magazine, The Vegan, which is available every quarter to members. This is filled with useful information, tips, interviews, nutritional advice, shopping, reviews and special features. You will also have access to the archive. Members are also rewarded with over 120+ vegan-friendly discounts which includes £5 off your treatment every time you visit Zensations, also holidays, clothes, services, online shopping, cafes, restaurants and cosmetics. Holland & Barrett offer members in the UK 10% off in-store. You get 10% off VEG1 and 20% off Ethics & Antics. If you would like to proceed with treatment immediately after your FREE consultation and assessment this is no problem, as the time will already be booked into the calendar, if you would not like a treatment after your FREE consultation and assessment this is absolutely fine and there will be no charge! On your first visit, if you have come for a sports massage or remedial massage, your therapist may also carry out a FREE postural assessment. If you would like a postural assessment please let you therapist know. Zensations uses an advanced software program to precisely measure and record your posture alignment; it produces an on the spot report, which highlights and measures any postural deviations that you may have. We can then work together to improve your posture through a combination of massage, a tailor made exercise routine and postural awareness. As we progress through your treatments and regime, we can easily compare posture reports to view your progression. After your treatment, your FREE postural report will be emailed to you.